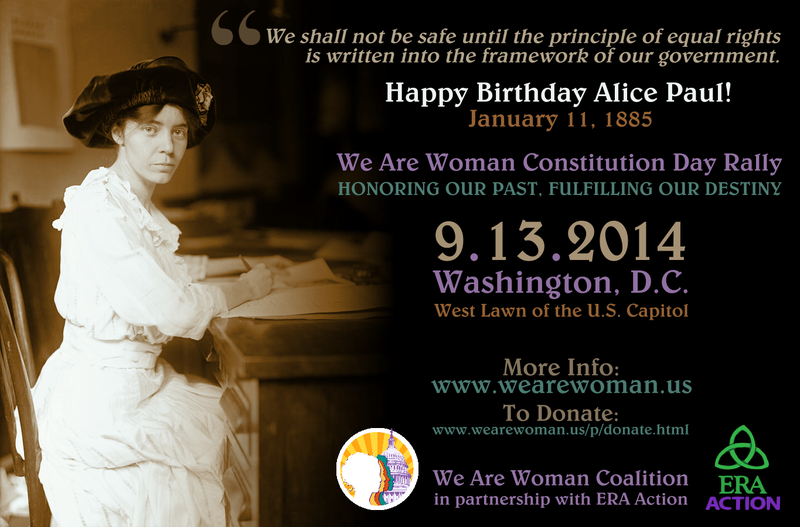 Home » Action » Announcements » Posters and Flyers » Happy Birthday Alice Paul! "January 11, 1885 was the day this great American woman was born and it is on this day that everyone should take a moment to recognize and celebrate her brave and progressive life. Alice understood that women needed to demand the right to vote. In the early 1900s this was very controversial and revolutionary. " continuted . . .